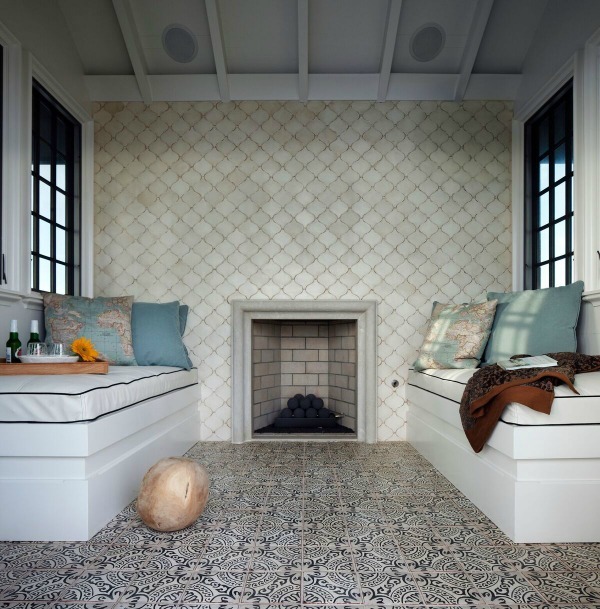 What are the ingredients for infusing a space with romance? 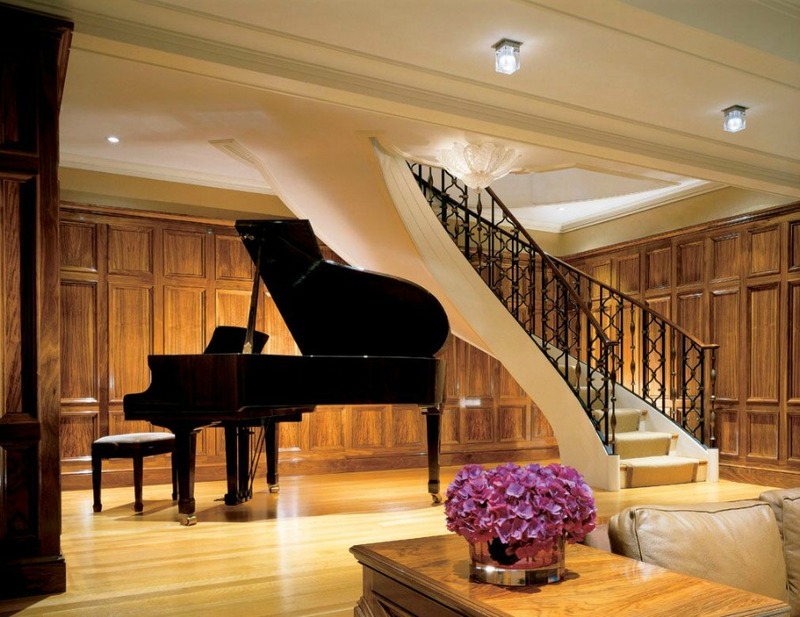 With timeless interior design? As I consider the beautiful range of possibilities, I am struck by the multitude of interpretations, all of them shimmering with promise. 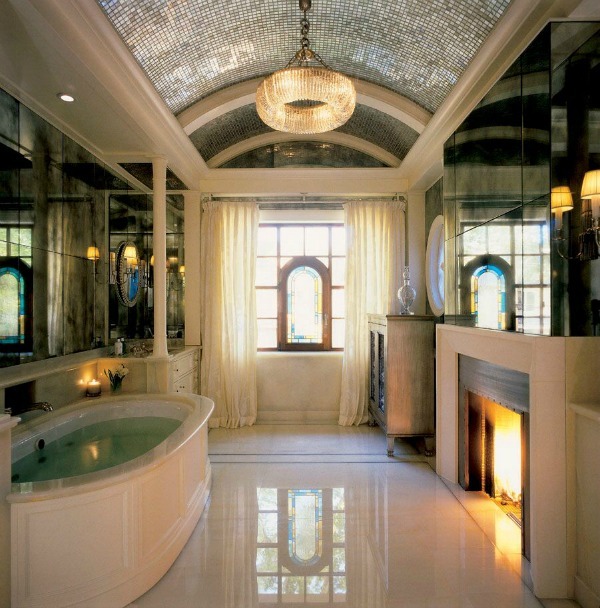 Romantic Timeless Interior Design Inspiration is a sensual collection of work from a few seasoned professionals who are deeply devoted and exceptionally skilled at mood making. Design: Ike Kligerman Barkley. 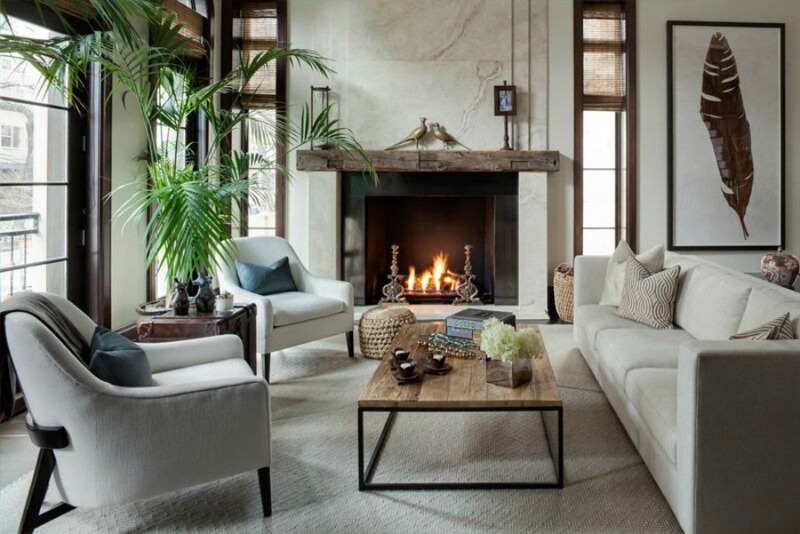 Romantic Timeless Interior Design Inspiration to ignite your passion for sophisticated simplicity, understated elegance, and richly thoughtful decor. 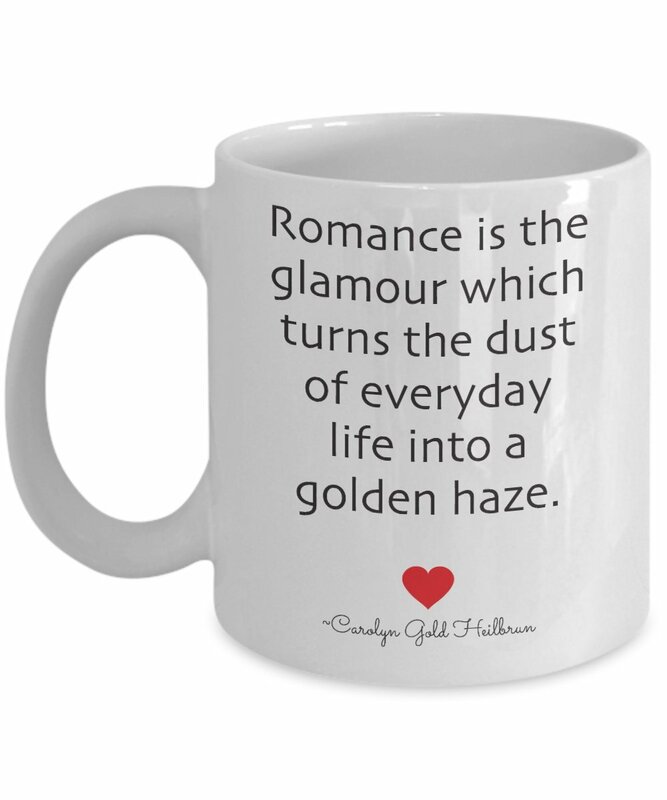 My favorite romance-themed quote (which you’ll discover below) is from Carolyn Gold Heilbrun: ROMANCE IS THE GLAMOUR WHICH TURNS THE DUST OF EVERYDAY LIFE INTO A GOLDEN HAZE. Ahhhhhhh. How grateful I am for the artisans, the poets and creative hearts like the designers here who transform the dust, who pull back the veil, who usher in the golden haze. Are you in the mood for love, for moments of golden wonder and romance as I am? 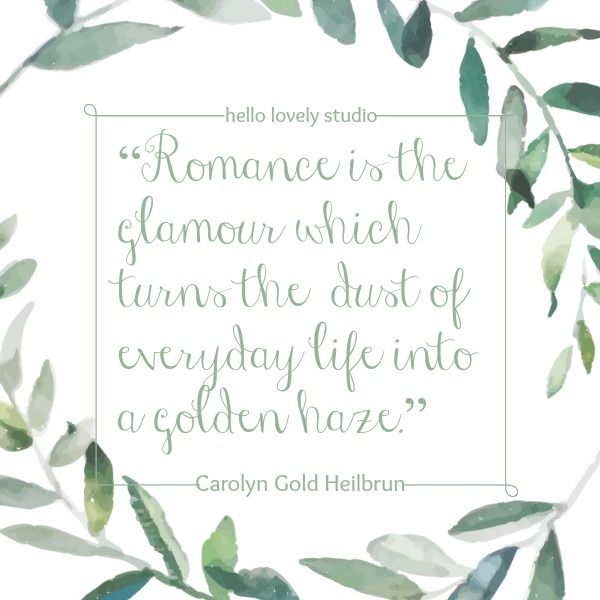 As we inch closer to mid February’s heart-shaped season with its excessive chocolate nibbling and rose-scented air, let’s consider the potential for romance in our own spaces by simply inviting the inspiration which follows to have its way with us. Also breathe in the sweetness of romantic quotes: chosen especially for you, lifted from love stories, and woven into this lovely feast. Pin them to spread love’s flavor throughout the land…so many hearts long for a taste. While these interiors fall within the realm of “fantasy” and were perhaps executed with “heavenly” budgets, do notice how a quiet palette and sophisticated simplicity work magic. Bear in mind these designs began with ordinary walls and floors, and a storm of dust likely followed before the gold arrived. Notice how weathered textures, rugged weightiness, and rustic design elements work magic in an ethereal and romantic space. Design: Margaret Naeve. 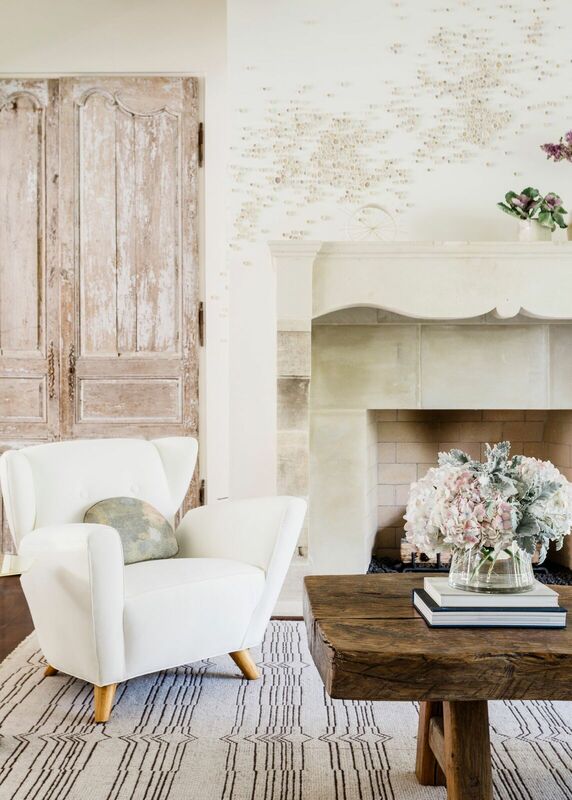 Romantic Timeless Interior Design Inspiration to ignite your passion for sophisticated simplicity, understated elegance, and richly thoughtful decor. 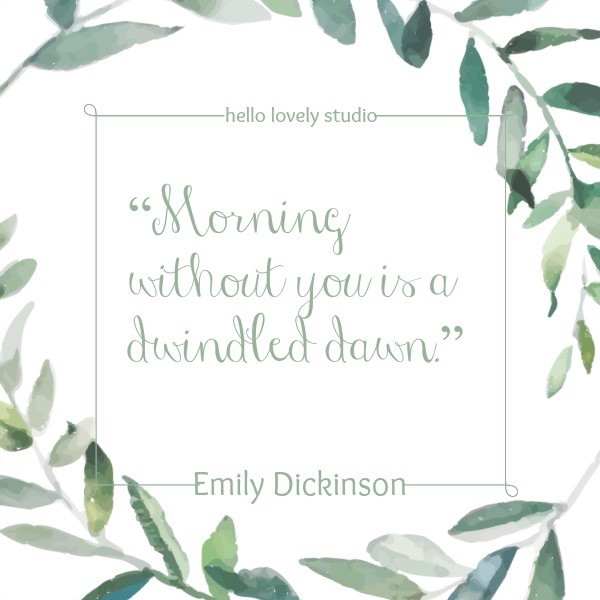 MORNING WITHOUT YOU IS A DWINDLED DAWN. 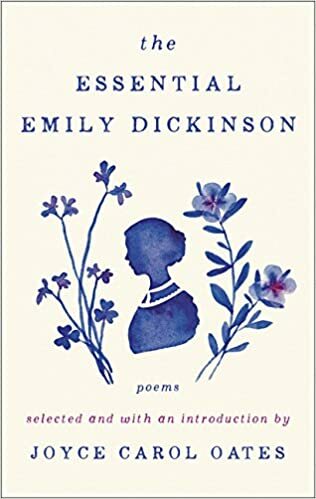 -Emily Dickinson. Find books by the poet RIGHT HERE. Romantic Timeless Interior Design Inspiration to ignite your passion for sophisticated simplicity, understated elegance, and richly thoughtful decor. When your vision for clients flows from a desire to elevate their mundane daily rituals to the sublime, romance blossoms. Design: KAA. Photo: Roger Davies. Romantic Timeless Interior Design Inspiration to ignite your passion for sophisticated simplicity, understated elegance, and richly thoughtful decor. LOVE LETS YOU FIND THOSE HIDDEN PLACES IN ANOTHER PERSON, EVEN THE ONES THEY DIDN’T KNOW WERE THERE, EVEN THE ONES THEY WOULDN’T HAVE THOUGHT TO CALL BEAUTIFUL THEMSELVES. -Hilary T. Smith. Find books by the author RIGHT HERE. BUT YOU’VE SLIPPED UNDER MY SKIN, INVADED MY BLOOD AND SEIZED MY HEART. -Maria V. Snyder. 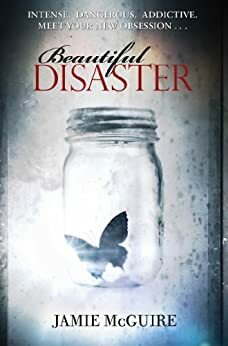 Find books by this author RIGHT HERE. Thoughtful places of lasting beauty do not materialize quickly or effortlessly (though they may appear effortless!). But oh, the splendor when the planning, keen eye for seeing, keen ear for listening, and harmony of architecture and design, birth a timeless romantic room. 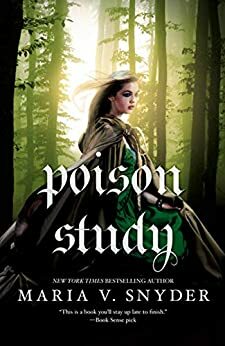 Design: Jeffrey Dungan. Photo: William Abranowicz. Romantic Timeless Interior Design Inspiration to ignite your passion for sophisticated simplicity, understated elegance, and richly thoughtful decor. Romance is too relational to ever be one note. Whisper-y low-key glamour flirts with the depth and strength of handsome organic underpinnings. Design: Cari Giannoulias. 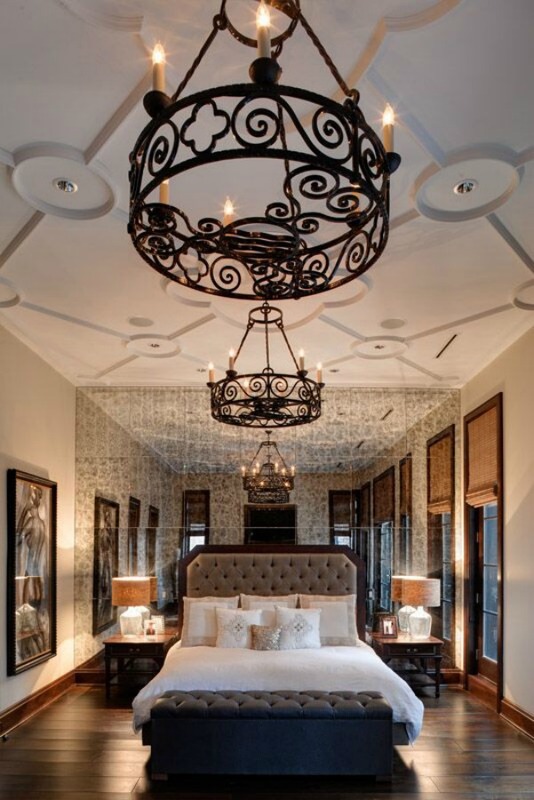 Romantic Timeless Interior Design Inspiration to ignite your passion for sophisticated simplicity, understated elegance, and richly thoughtful decor. I WANT EVERYONE TO MEET YOU. YOU’RE MY FAVORITE PERSON OF ALL TIME. -Rainbow Rowell. 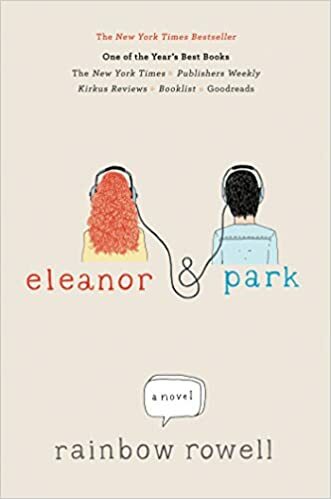 Find books by Rainbow Rowell RIGHT HERE. I KNEW THE SECOND I MET YOU THAT THERE WAS SOMETHING ABOUT YOU I NEEDED. TURNS OUT IT WASN’T SOMETHING ABOUT YOU AT ALL. IT WAS JUST YOU. -Jamie McGuire. Find books by Jamie McGuire RIGHT HERE. IF MY LOVE WERE AN OCEAN, THERE WOULD BE NO MORE LAND. IF MY LOVE WERE A DESERT, YOU WOULD SEE ONLY SAND. IF MY LOVE WERE A STAR–LATE AT NIGHT, ONLY LIGHT. AND IF MY LOVE COULD GROW WINGS, I’D BE SOARING IN FLIGHT. -Jay Asher. 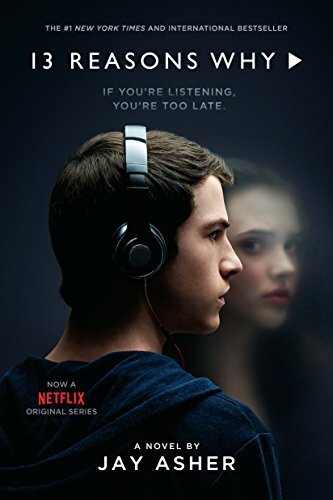 Find books by Jay Asher RIGHT HERE. Surely one of the fruits of a timelessly romantic living environment is tranquility, and don’t we all crave a bit more in our fast and furious daily lives? THERE IS NEVER A TIME OR PLACE FOR TRUE LOVE. IT HAPPENS ACCIDENTALLY, IN A HEARTBEAT, IN A SINGLE FLASHING, THROBBING MOMENT. -Sarah Dessen. 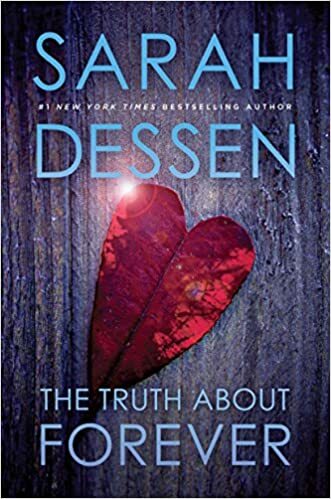 Find books by Sarah Dessen RIGHT HERE. If it is more romance you long for, right where you are, then surely yours is a heart prone to tenderness, prone to dreaming, and prone to folly. But is it willing to be broken? 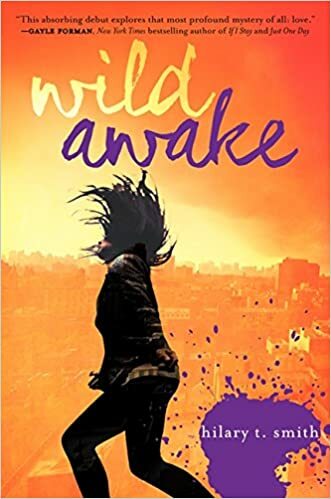 Because ROMANCE–the real stuff that refuses to come cheaply–demands wholehearted vulnerability and fierce courage. To trust another soul, to truly surrender your innermost heart, will cost you. It has certainly cost me a bundle, yet I wouldn’t have it any other way! If it’s safety you crave, with its predictable accumulation of daily dust to blanket your fears, then romance may be far from your mind. As for me and my little heart, we hunger for the golden haze. In fact, my heart’s readiness to break is critical to my soul’s keeping, to golden life in the spirit. I’m a failure at heartbreak-readiness too often. I close up my soul and go haze-blind all the time. We all do. The trick seems to be settling into daily rhythms, into little daily practices to usher in the transformation and magnify our vision for beauty. What an abundance of rich daily transformation practices exist no matter where or what we call home! Speaking to God, stillness, charity, chores, kindness to animals, meditation, prayer, silence, music, caring for the sick, creation of art, and so many more! I wish you eyes to see the loveliness of the golden haze and the courage to become one with it. Previous Post Get the Look: FIXER UPPER Tranquil Cottage Decor!